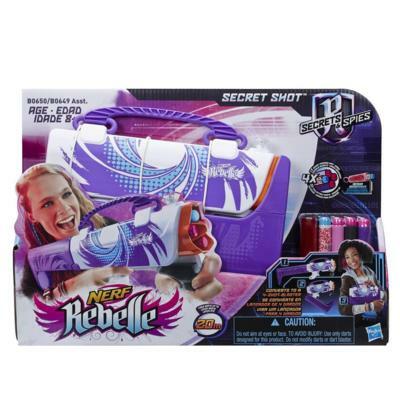 For those who don’t remember, NERF’s Rebelle line is a series of dart blasters and accessories aimed principally at the young girl market. 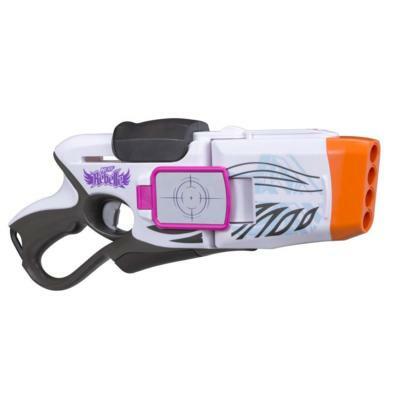 It also happens to have some of the more unique blasters to come out in recent memory, such as the CornerSight blaster. 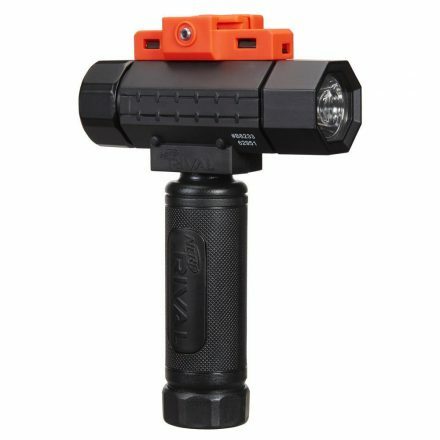 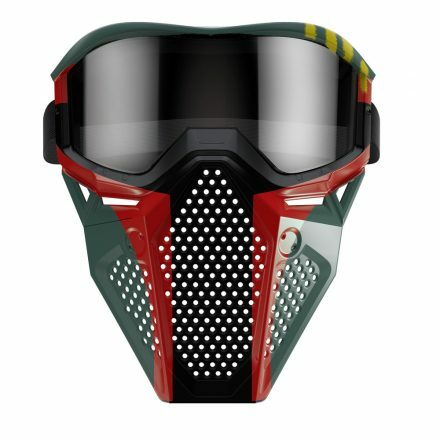 Possibly inspired by the Israeli CornerShot weapon system, the NERF CornerSight features a barrel that can bend left or right, as well as mirrors that allow the shooter to fire around corners. 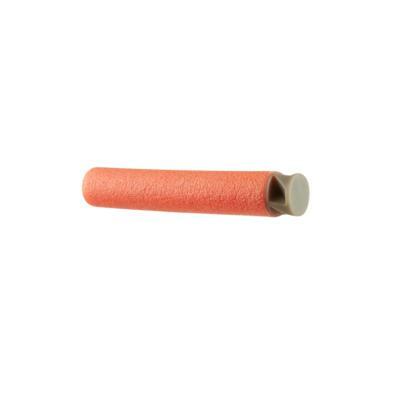 The CornerSight fires 1 dart at a time, and can hold a total capacity of 4 darts, with storage for 2 additional darts. 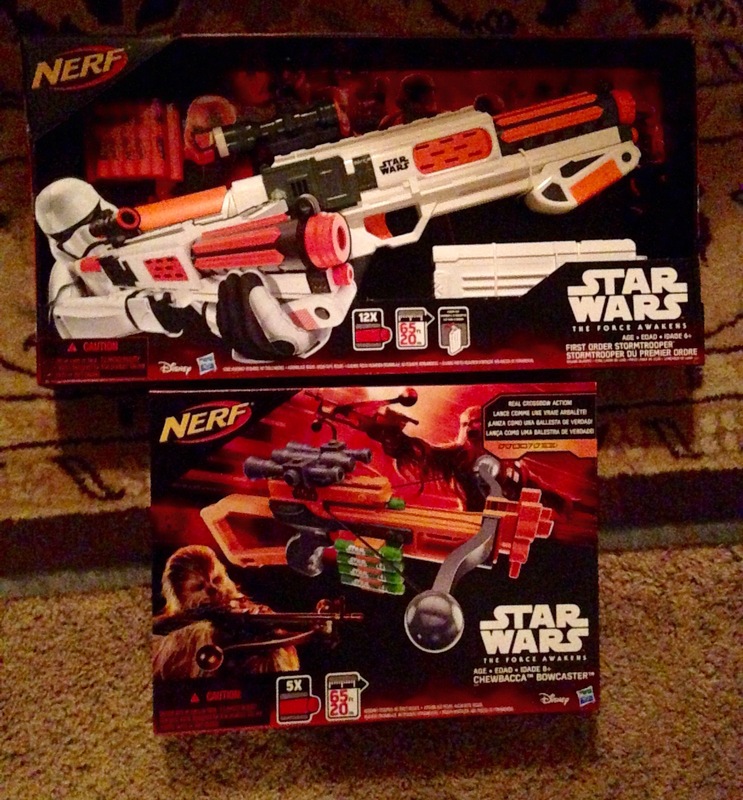 Currently available wherever NERF Rebelle products are sold. 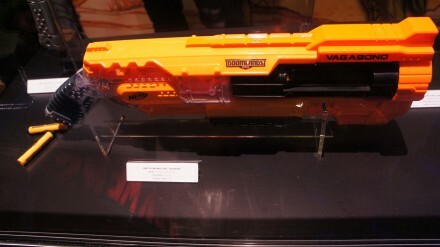 We just got one of the new Zombie Strike Crosscut blasters at TFB headquarters. 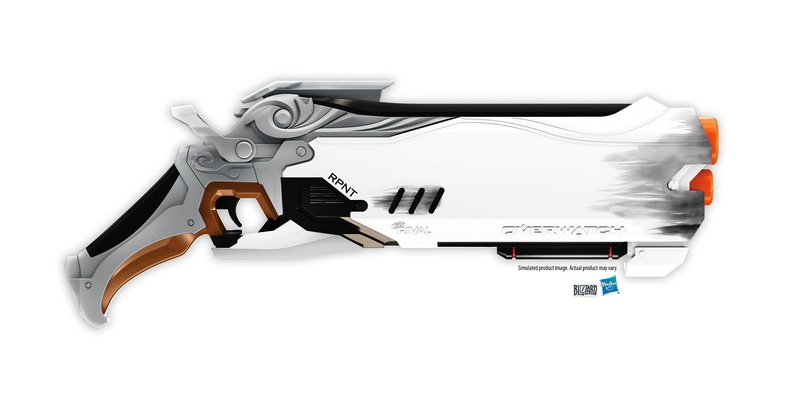 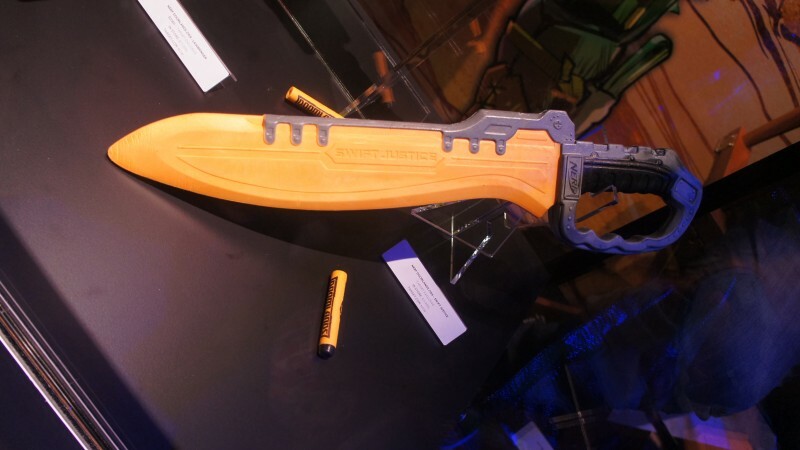 It’s a 2-in-1 gun, part NERF, part spinning foam saw of doom; think a kid-friendly Lancer from Gears of War. The spinning saw action, as it is made of foam, doesn’t really hurt, but if you catch someone on the “blades” correctly, it can sting a tiny bit. 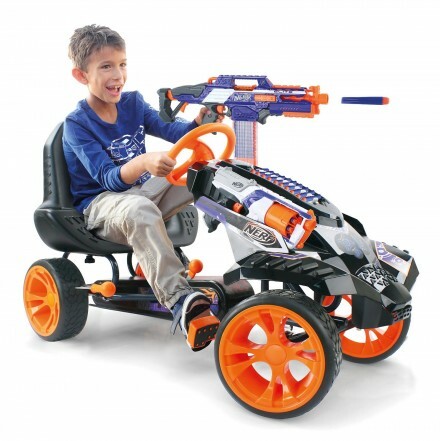 German toy company Hauck Toys has created the NERF Battle Racer, a pedal-powered cart with NERF branding and full support and storage for NERF blasters and accessories. It features multiple placeholders for NERF blasters and darts, an ergonomic molded seat, and a handbreak. 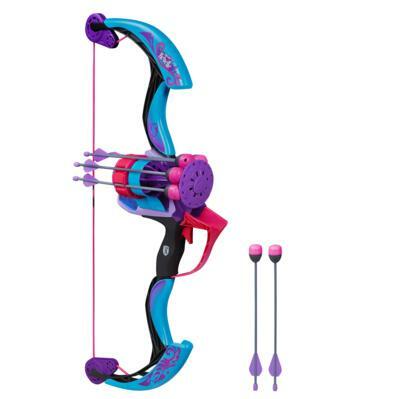 NERF’s girl-focused Rebelle line has really come onto its own with some pretty cool blaster designs, including the Secrets & Spies Arrow Revolution Bow Blaster. 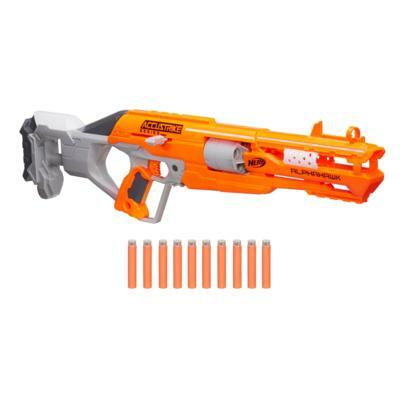 This blaster fires 6 whistling arrows up to 90 feet away, with an intergrated rotating quiver which autoloads a new arrow as the previous one is shot. Usually, I’m pretty content with just showing off cool new NERF blasters without knowing the details of their operating mechanism, but this educational video from YouTube Channel engineerguy shows how a particular pistol-style NERF blaster functions. 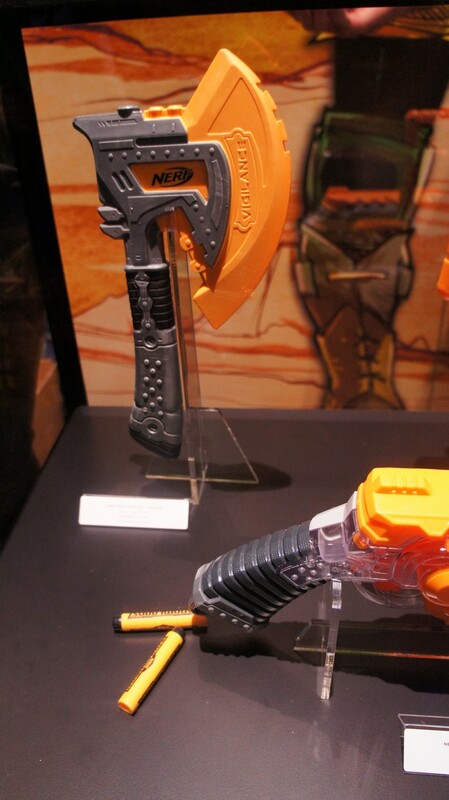 It’s actually pretty cool to see how this particular model works. 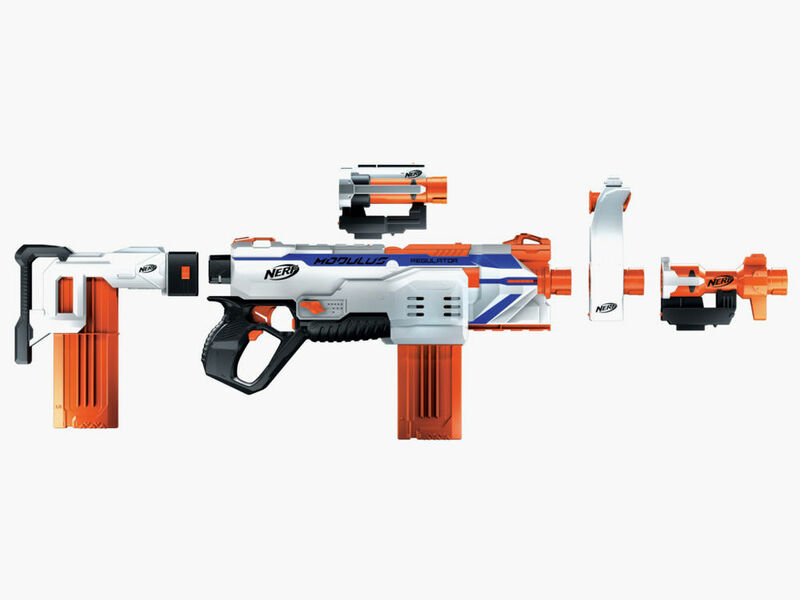 The Doominator is the latest blaster from NERF’s Zombie Strike line. 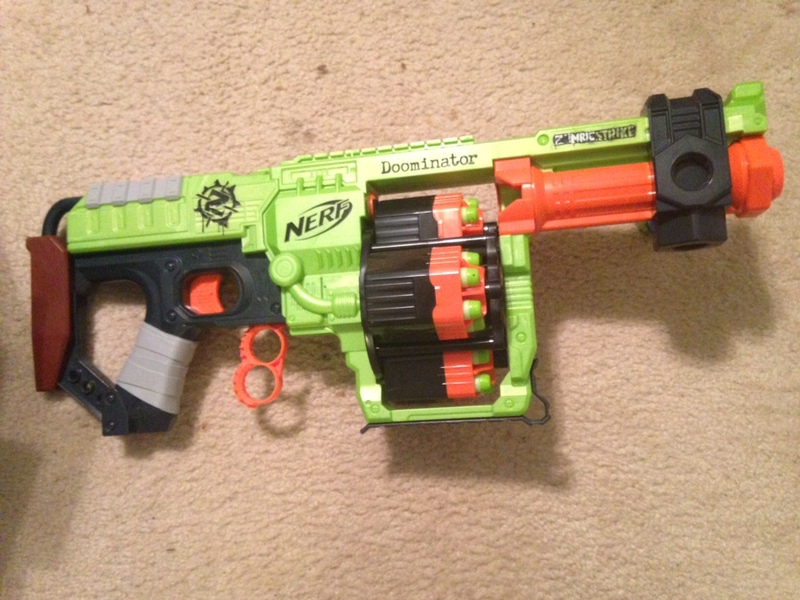 A beast of a blaster, the Doominator features 4 flipping drums which are manually switched via the two-finger lever underneath the trigger guard. Each drum holds 6 darts, for a total of 24 darts when fully loaded. 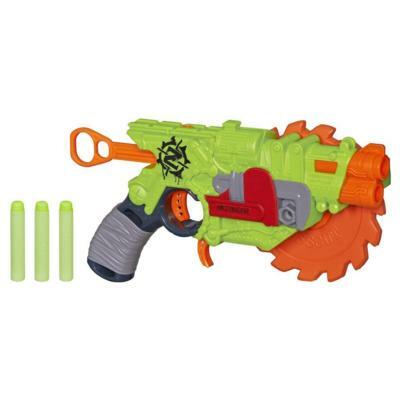 It’s a pump-action blaster; it comes with a grip that can screw into the 3 o’clock, 6 o’clock, and 9 o’clock positions of the action to make cycling easier. 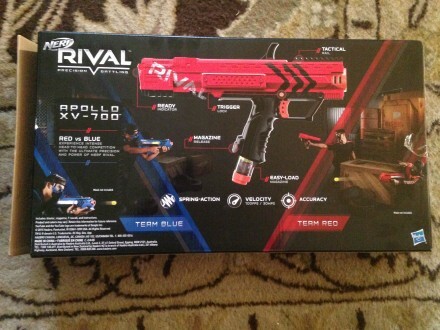 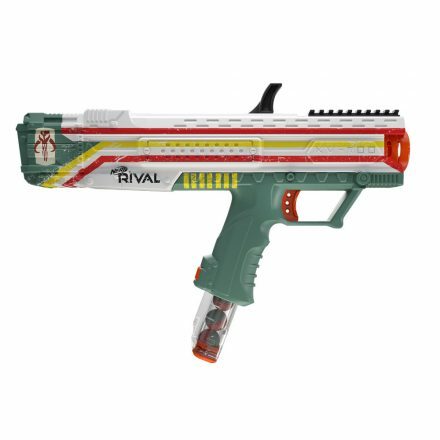 NERF Rival is the latest line of NERF blasters, with a strong competitive theme in that each blaster and accessory is available in either a ‘Team Red’ or ‘Team Blue’ configuration (I’ll let you guess what colors are associated with each team). 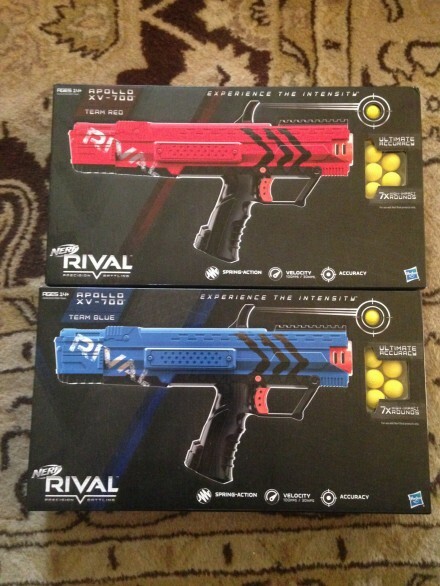 The blasters are also named after Greek gods, and they fire ball-shaped “high impact rounds” rather than the familiar darts. Oh, and it kicks like a beast, at least by NERF standards, when it fires. 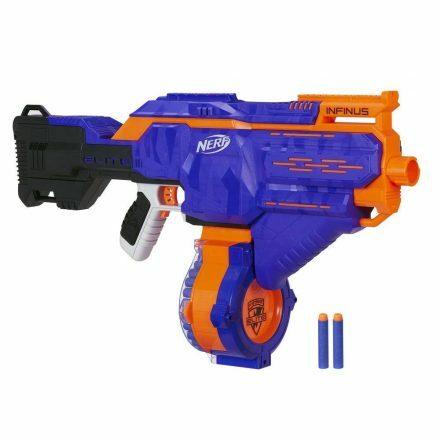 Given the projectiles sport a 100 fps velocity, you’d figure it would have to have a pretty strong action. 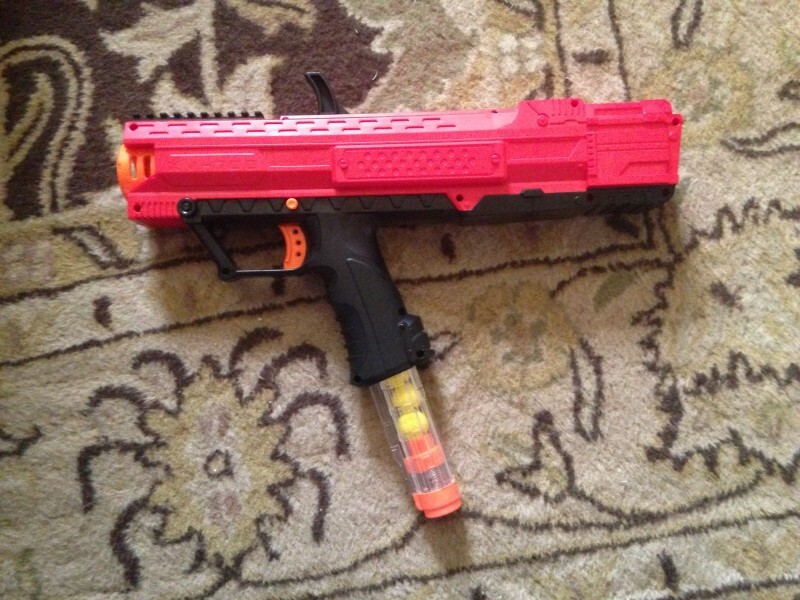 2) There’s not a lot of grip room to place your off-hand, since the rear of the Apollo holds the spring assembly. 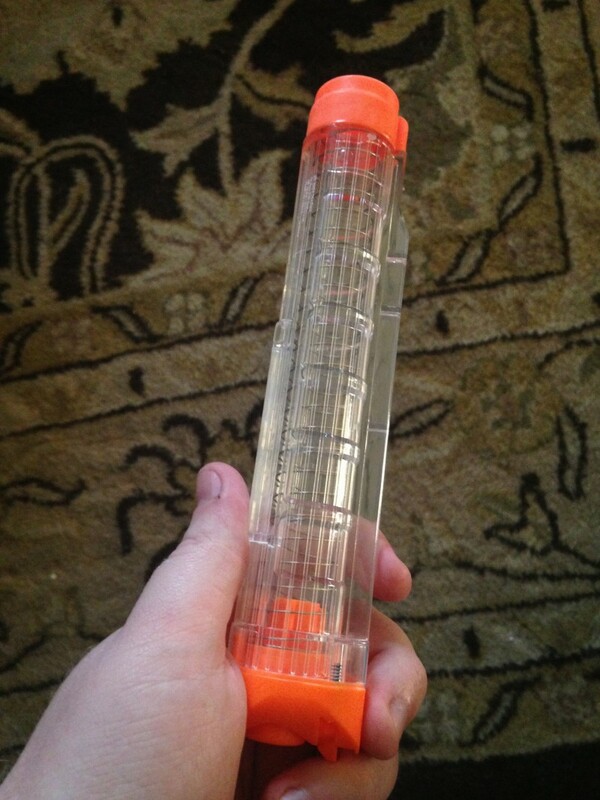 The best part, though? They actually call the magazine a magazine. Now that’s what I call progress. I haven’t seen these yet, but I’ll have to pick up a few for myself. 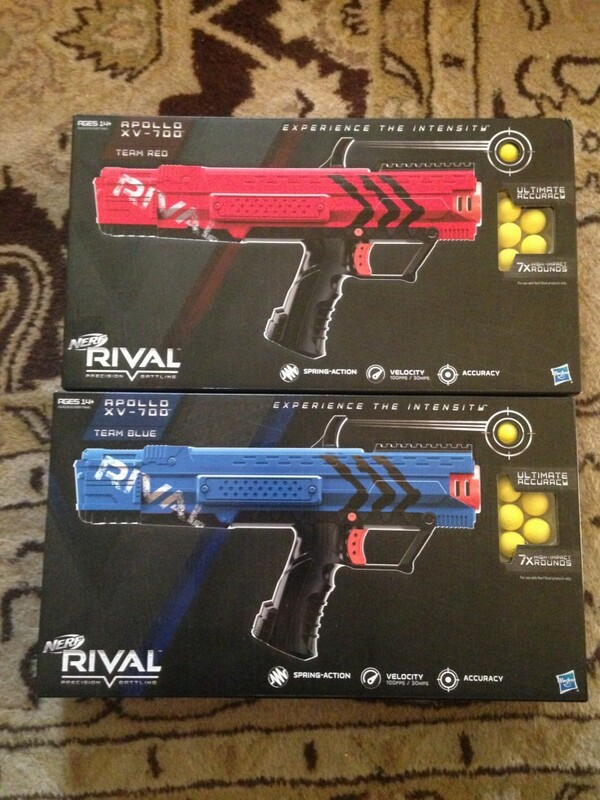 They look pretty interesting. 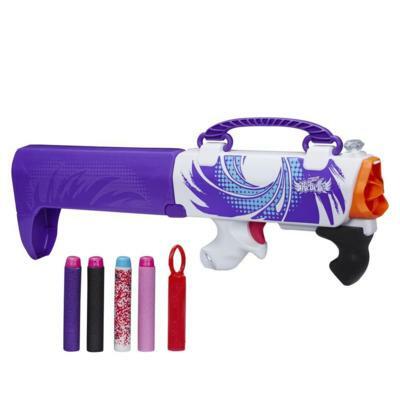 The NERF Rebelle line is a line of NERF blasters for girls. 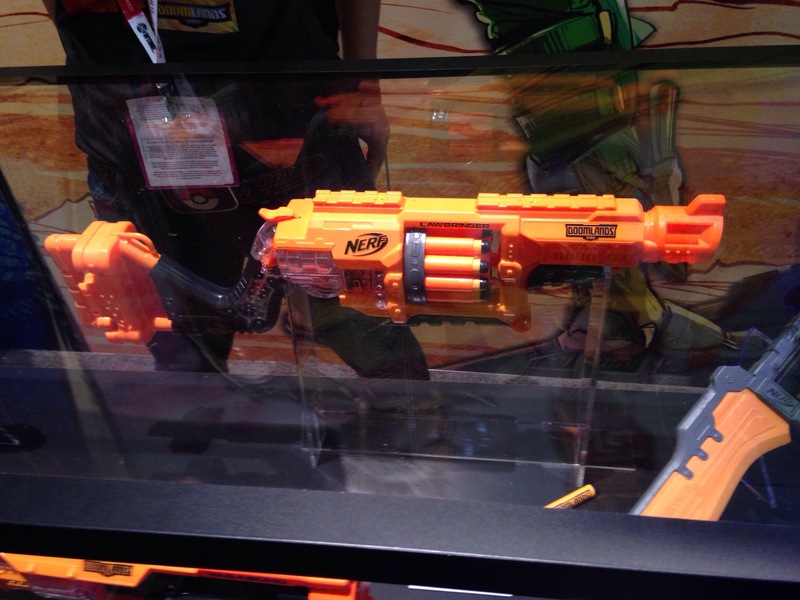 One of the more interesting blasters in the line is the ‘Secrets and Spies’ Secret Shot Blaster. 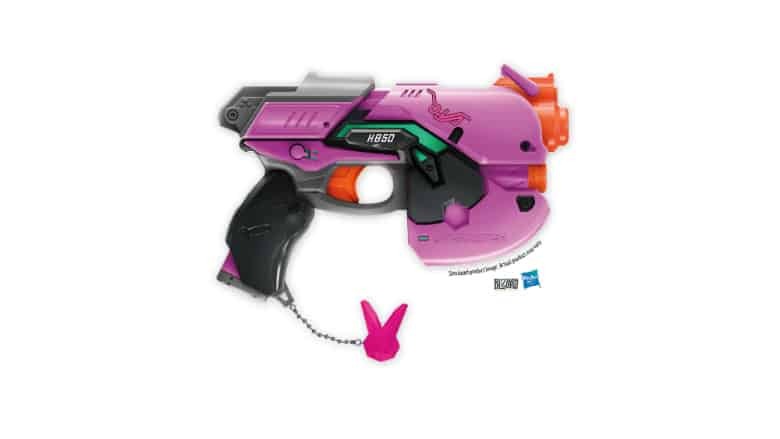 Designed to look like a “fashionable bag”, it unfolds into a 4-shot blaster. It reminds me of a Magpul FMG-9, with a bit of a P90 influence. Change it into a briefcase or something similar, color it black with orange accents, and it would be pretty good for boys as well. 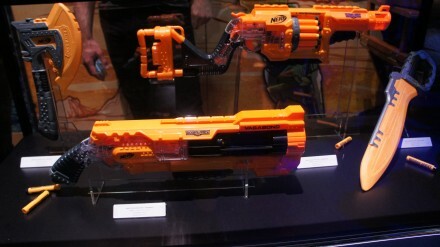 It can be bought most places where NERF guns are sold.